Your music has inspired thousands. Your sweet opera's graced the ears of many across the world, in many different points in time. Your music soared and were masterpieces. For me, and for countless others around the globe, your music has become a symbol of undying unity, a signal of hope among the lost, a beacon of strength in our darkness. The sweet rhythm of your ancestral beats has made so many bow before you, clap at the music, and flock from miles around to hear your music and aria's performed. Acis and Galatea being my favorite. Undying love, and the strength of Galatea when faced with the death of Acis. Your opera's inspired me and many more to keep going, to pursue the greatness in ourselves, to understand that life will be hard, but with work and dignity we shall prosper. 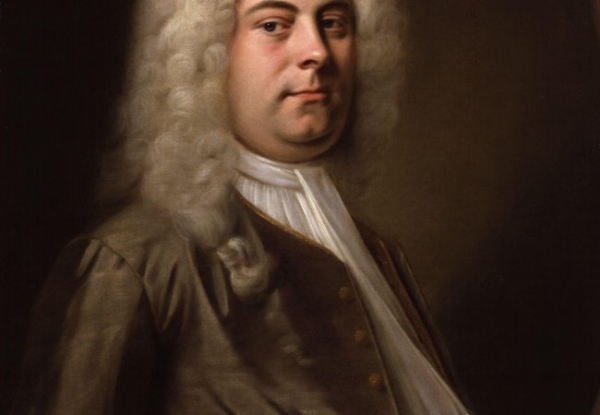 I am training to become a classical singer Handel, and your music inspires me, and the singers that have sung and will sing your songs forever can agree. Your music, your life, your everything touches and has touched all who come into contact with your beautiful words and notes. Your are a god among man, bringing to light thoughts and feeling only those who are in touch with the deepness in themselves will understand. You evoke a sense of aw, a sheer gaze into the life that we want, the feelings we wish to feel. You bring out in us happiness, sadness, inspiration, joy, and most of all willingness to keep going. I shall keep going, and we the world shall continue to hold your name in high regards forever and ever.